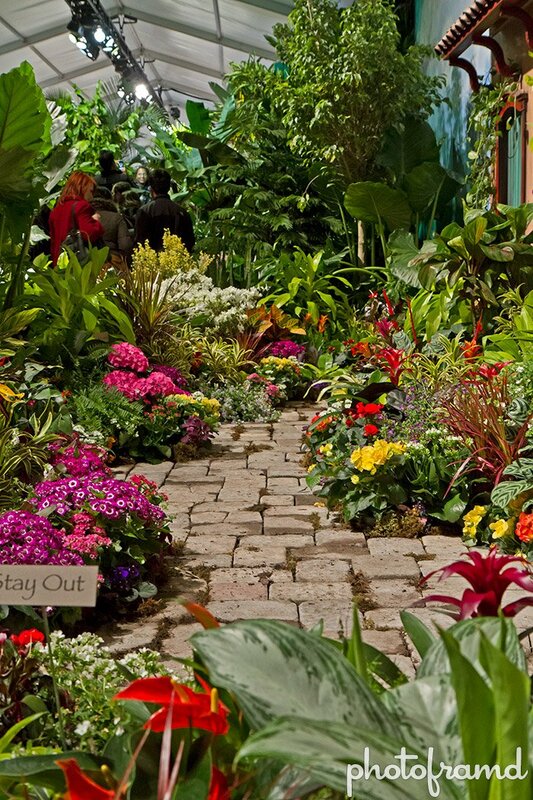 How do you take a historic annual event and reduce it to the level of a Gardening Expo? 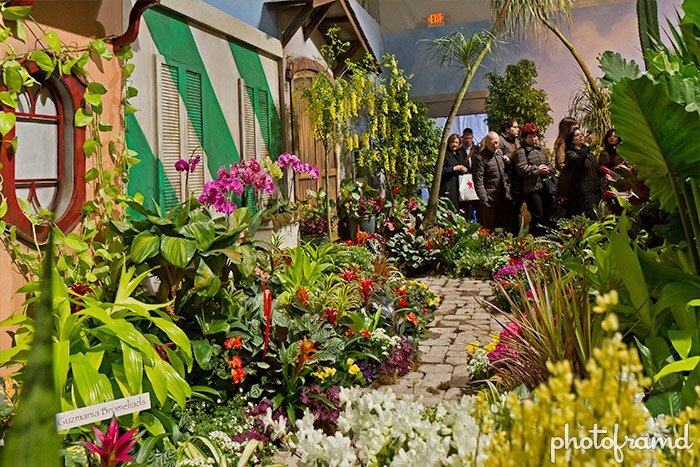 Just take the 60-year old Macy’s Flower Show and stick it in a tent! You see, Macy’s Herald Square NYC is in the middle of a major remodeling which will create the world’s largest shoe store. 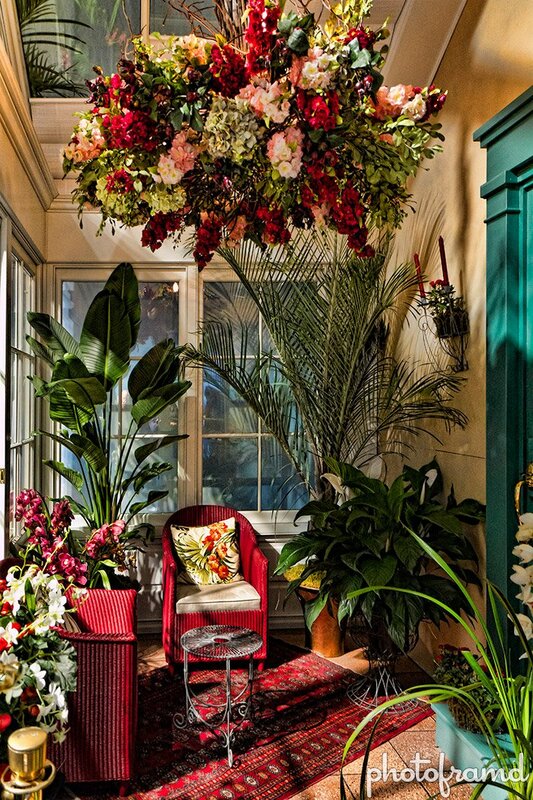 As such, there is no room in Macy’s for the Flower Show. So, they popped a tent on Broadway and created a Brazilian themed gardening event … where you can’t even buy anything in the “expo”. This is the equivalent of substituting some sparklers for the Macy’s Fourth of July Fireworks show. The fun of this annual event is seeing how creative the Macy’s designers can be, mixing the intricate living displays among the jewels, cosmetics, perfumes and other designer products on the main floor. In one corner, there is a Japanese Garden and in the other there is a desert oasis. 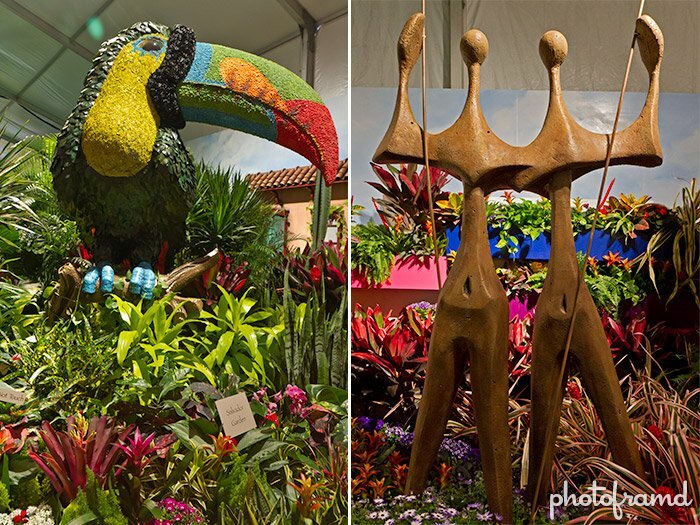 Just take a look at the photos from last year’s Flower Show. Pretty cool, right? Then look at some more from this year below. 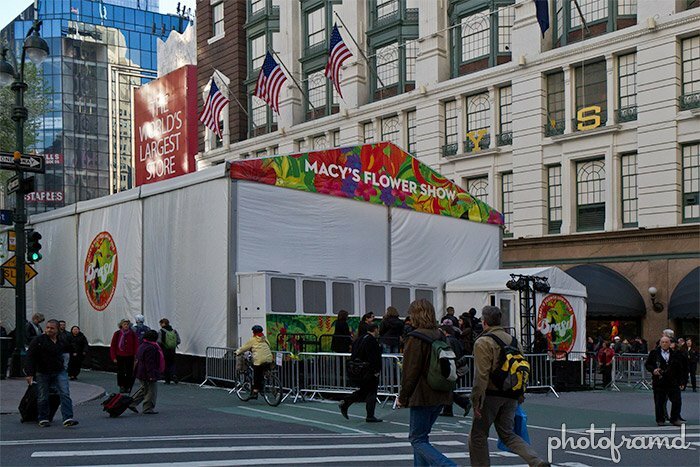 Let’s hope next year, Macy’s will not be working on the world’s largest sock department and puts the Flower Show back where it belongs! Next → Next post: A Big Blue Box in Times Square? This years’ Flower Show was awful. It was moved to a tent as the main floor is being altered but couldn’t that have waited 2 weeks? The show was quite disappointing; except for the toucan display. The waterfall was nothing more than a babbling brook and few orchids were on display. No cherry trees, tulips or Easter flowers as in past years. Hopefully, it will return to the main store. I heard similar comments from other Macys customers. It was a waste of time. Last years’ show was so gorgeous that I returned 10 times and I live 15 miles away! Also, I almost tripped on the wooden planks. Luckily, I stopped my fall.